Mrs. Blanche Serota holds a recording produced by her son under the Musique Internationale label. Blanche Serota visited the JSA in February 2011 to arrange for the donation of her son’s personal record collection to the Judaica Sound Archives at FAU Libraries. Mrs. Serota was clearly still grieving over the loss of her son, lawyer and record producer, Barry Serota, when she visited the JSA. She told me that her son was never interested in making money. 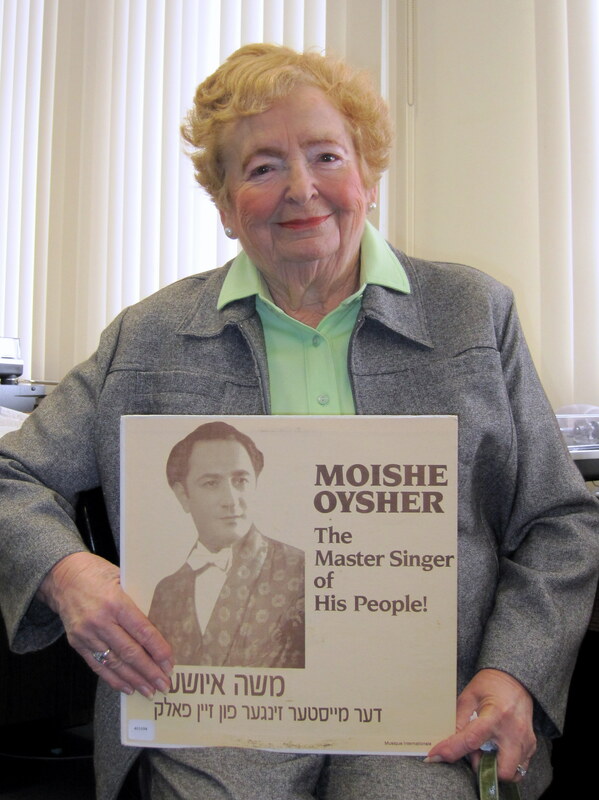 He collected and produced Jewish music recordings just for the love of it. She wanted to honor his his memory. It comforted her to know that what he loved so much would find a warm welcome and a permanent home at the Judaica Sound Archives at FAU Libraries. Mrs. Serota was unable to make the trip to Boca Raton that winter but we made arrangements for Ben to visit her in Chicago to assess the collection of recordings and Musique Internationale masters that were stacked in her basement. “I would have to say that it was pleasantly overwhelming!” he reported. He estimated that there were approximately 100 boxes of recordings, record masters, and reel-to-reel tapes. Meeting Mrs. Serota face-to-face for the first time, Ben talked about his memories of Barry. She remembered the beautiful voice of Ben’s father, Cantor Zvee Aroni. And so they talked and ate deli sandwiches for lunch. Dr. Wiiliam Miller (right), Dean of FAU Libraries, looks on as Blanche Serota (middle) and Maxine Schackman (left) pose in front of the new "gold record" honoring Barry Serota. By the time Ben left Chicago Mrs. Serota had made up her mind to donate all the recordings she had to the JSA. The following February Ben personally escorted Mrs. Serota to Boca Raton where she was visibly impressed by what she saw. 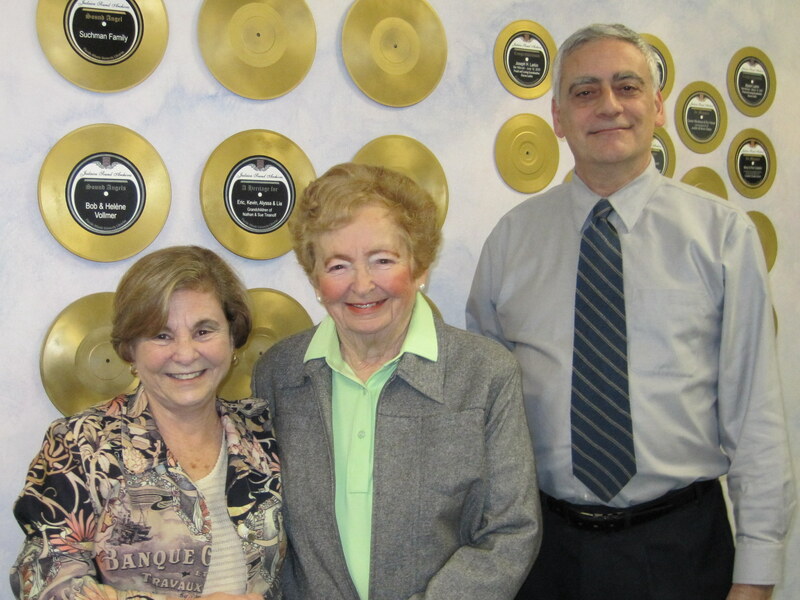 Dr. Miller arranged for a JSA donor recognition “gold record” to be placed on the JSA Sound Angel wall. Mrs. Serota expressed her pleasure in knowing that her son’s memory and his work would be appropriately honored.